Thank-you for your support with our NSPCC fundraiser. We raised a huge £1348.90 so a huge thank-you and well-done! 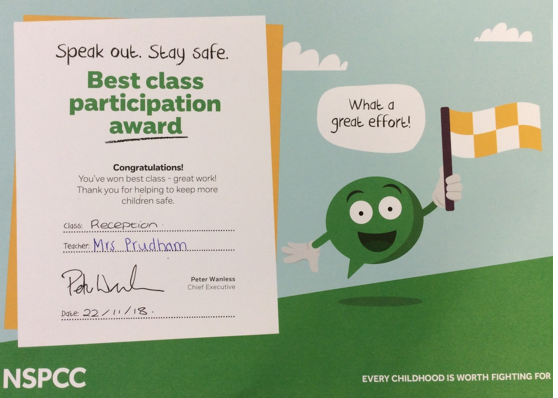 Reception, year 3 and year 5 won 'best participation' certificates for bringing back the most sponsor forms so an extra well-done to you!